An end of an era arrived in China during the summer of 2015. For investors the ongoing downward trend in the domestic market, finally culminated in a massive sell off that occurred on August 24th. Chinese officials watched in disbelief, as 8.5% of stock valuation disappeared in a matter of hours. It has since been identified as Black Monday. It was the largest one day drop in the Chinese Stock Market since 2007. It provided a signal to global investors everywhere that the economic model promoted by the government of China, had at last reached a point where market forces could no longer be overridden by simple decree. In the month of August alone, nearly $5 trillion USD (United States Dollar) of wealth has been erased from world markets as a result of the spreading contagion from China. The devaluation of the yuan, had created a chain reaction that destabilized national stock exchanges both in emerging nations and in the developed countries alike. The Chinese indexes have lost more than 40% of their value since the peak which had arrived in June. Much of this decline can be attributed to the overall decline in growth in the world’s second largest economy. The demand for Chinese exports are plummeting in a slowing global economy. China is no longer a growing market for commodities from the emerging world. It is instead become a competitor in a tightening marketplace for goods and services. The government of China is caught half way between a command economy and one where market forces determine the outcome of how and where money is invested. As more Chinese investors abandon equities as an avenue for further growth, there will be a rush back into real estate. Unlike stocks where only a small percentage of the population are invested, the property market is responsible for nearly one quarter of the domestic GDP (Gross Domestic Product) now at $11.2 trillion USD. 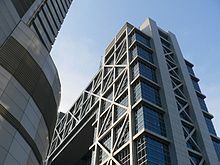 The banking system and the general financial system of China is under girded by both private and public real estate assets. Although there has been some healthy correction in this sector over the last year, this market is also overvalued and in danger for a major plunge in valuation. There are still many areas of China where property prices are still declining, after the spectacular increases that had occurred from 2009 to 2013. There exists a immense inventory of unsold and underutilized properties. Chinese authorities themselves are publicly admitting that there is industrial overcapacity in the domestic economy. Many factories are still running full tilt producing manufactures that are no longer in demand. Yet, the government continues to fund infrastructure projects that have a declining value to economic growth. The goal of course is to provide further stimulus, to a rapidly slowing domestic economy. It is the largest globally in PPP (purchasing power parity) at $18.975 trillion USD. China had surpassed the United States in this measurement, already in 2014. Prices are dropping as well, as the overabundance of goods are creating stockpiles of unsold goods. The value of the goods directly from the factory have been in decline for over 3 years now. This situation will make it more difficult for Chinese companies to service debts that were incurred when production was ramped up, by borrowing money during the boom years. The next step in the evolution of the Chinese economy, will be towards domestic consumption rather than exports. Efforts to expand market share in the global economy for Chinese goods will be far more challenging, as other nations will take steps to counter further penetration of their own export sector. Policy prescriptions like subsides and further devaluation of the yuan, are likely to be matched by competitors. Unlike the monetary policy of central banks in the developed world where interest rates are at or near zero, China still maintains a more sustainable one year rate of 4.6%. So in spite of the recent cuts this past summer, with the last one occurring on August 25th, Chinese bankers still have plenty of leeway if growth falters further. There have been a total of five reductions, since November of 2014. Also the present required 18% reserve ratio for the big banks, could be reduced further as well. The Central Bank of China (PBOC) also has abundant room for further support of their currency if it would become necessary, as the country has accumulated some $3.7 trillion USD in foreign exchange reserves over the years. The recent expenditure of $40 billion USD in support of the yuan, is a relatively small amount, if you consider the total amount that the PBOC has access to in a real financial crisis. A weaker yuan does help promote exports, but if the currency drops precipitously, it could cause a major flight in capital. The dramatic decline in Chinese growth has driven stock exchanges in emerging markets well into correction territory, which is a decline of at least 10%. Many of these nations have already entered a bear market, with index declines easily exceeding 20%. As these economies tip into recession the demand for Chinese exports will continue their downward spiral. If these export dependent nations can no longer sell as many commodities to China, it causes a ripple effect across the global economy. The collapse in commodity prices have devastated emerging markets across Africa, Asia and Latin America. The economy of Brazil for example, is already in recession because of this worldwide trend. Nations like Indonesia and Malaysia geographically close to China, have been particularly effected. It has also had a major impact on a number of developed economies overly dependent on the sale of commodities. These would include nations as diverse as Australia, Canada and South Africa. Commodity prices are now at their lowest valuation in this century. It includes everything from agricultural food stuffs to industrial metals like copper, gold, platinum, palladium, silver and uranium. The energy sector has been particularly hard hit with prices for coal, natural gas and oil at six and a half year lows. 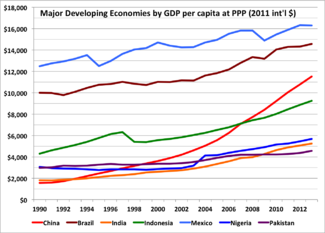 China has been the mainstay for world growth for most of the 21st century. 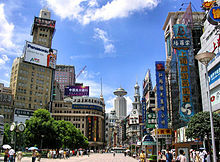 Corporations around the globe were interested in exploiting the rapidly expanding market in China over the last decade. Now these plans have gone in reverse, as a growing number of companies are scaling back operations in the rapidly cooling Chinese economy. Rising wage growth within China, has also made the country less popular with many foreign entities. Although the government of China continues to insist that growth is still near 7%, the majority of outside analysts no longer put any credence if this statistic. This investment writer believes that growth is likely to be less than half the stated rate and the Chinese economy itself may enter into recession in 2016. The way Chinese authorities decide to intervene in the economy is often abrupt and counterproductive, with a lack of communication and forward guidance. It leads to investor confusion and a corresponding lack of confidence in the market itself. This was why it looked like China was ready to engage in a currency war last month, with a major unannounced devaluation that unnerved investors and resulted in a spike of capital leaving the country. 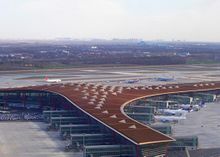 Chinese authorities has also spent $236 billion USD in an effort to stabilize the two main domestic composites. Yet the Shanghai and Shenzhen indexes have continued in wild swings in valuation, that are still in a downward spiral. Having government institutions buy an ever greater share of the total market, now worth nearly one third of Chinese GDP, is not restoring overall investor confidence. Fortunately for party leaders in China, less than 20% of household wealth is invested in the domestic stock market. Of course many of these first time investors have borrowed money to buy more shares, which will now lead to a number of defaults. It is estimated that these may effect less than 2% of all banking assets. However, it is important to note that given that China has over 1 billion people, millions of Chinese people may well be going into bankruptcy this year and in 2016. Stimulus spending a favorite tactic of economic planners everywhere can still be accelerated in China. The stated goal of a central budget deficit not in excess of 2.3%, has not been breached to date. Yet the government cannot spend indiscriminately, as in aftermath of the 2009 crisis. The debt to GDP ratio may already exceed 250%, which is a doubling of the amount in a mere 7 years. The Chinese national debt total exceeds the rate that an increasingly desperate recession wracked Japan at 230% (2014) contends with, but not by much. Although debt of this magnitude is troubling there are other factors effecting China that are even more alarming. One is the coming demographic crash. The result of the one child policy of the previous generation, China is also contending with a shrinking population of working age citizenry. In addition, the amount of social spending that will become necessary as the population ages, is going to become increasingly burdensome in the years ahead. The dilemma for China’s leadership is how much power will need to be ceded in order to allow greater growth for the domestic economy? Reforms are needed in many sectors that would ultimately free resources, that could be allocated more efficiently in the present over regulated and bureaucratically run economy. More competition would be the first order of business, where private firms could finally be treated on an equal footing to state owned companies. Allowing the free movement of the population so individuals could migrate to where the jobs are, would also be major impetus to growth in various regions throughout China. 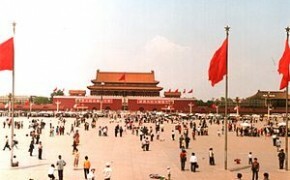 Enforcing the rule of law for all citizens whether they are well connected to the Communist Party or not, would help restore confidence in a system that is being plagued by corruption and inefficiency. However, these reforms would require a further eroding of the influence and power of the present leadership, so they are likely to be enacted only slowly over time. The recent flurry of manipulations and prosecutions of traders in the market, failed to reverse the decline in stock valuations. It actually further eroded the confidence of investors both domestically and abroad, in the competence of Chinese officials. The political damage to the credibility of the government of China has already taken a major hit. How China survives the end of rapid growth will depend on the willingness of the Chinese leadership to surrender ever greater control to private market forces. If the Chinese government can no longer offer growth as a justification for the present monopoly on power, the situation there will become far more unstable both economically and politically. Good post. However, as day traders (or systems investors like me) I don’t think it is important to worry too much about this, other than it moves the markets and we need to be able to react to those markets. I was able to get out of XIV right before the big drop in late August because I saw the lower low being made on the daily. Understanding the macro views are important but I think it is important to not cloud our investment systems. Those are just my thoughts on where China fits into my trading. That said, I really appreciated this post as it gave me a lot more insight into what the heck is going on. Previous Post → The Economy Of Brazil: Where Is The Growth?